Headquarters : IVC : Agile. Individual. Compliant. 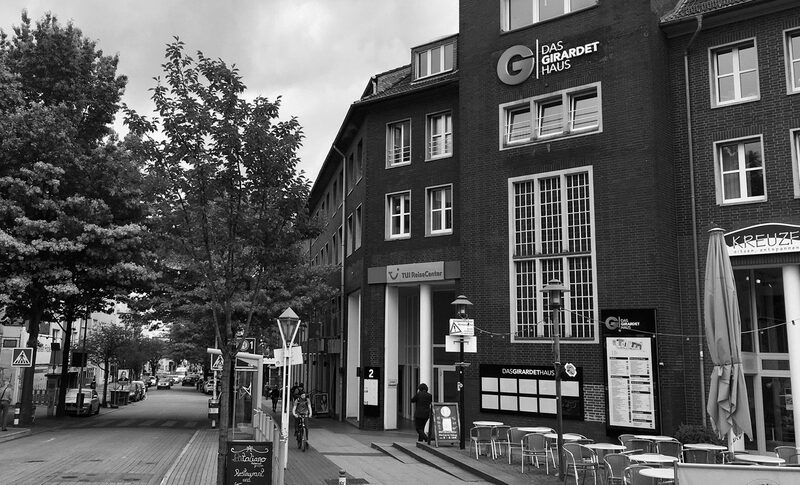 Our offices are located in the city of Essen. Access to our premises is gained via Eingang 1 (entrance 1) to Girardet House. This entrance is located next to car park A and faces Rüttenscheider Straße. Underground U11, tram lines 107 or 108 up to Martinstraße station (five minute walk). Take the A52 toward Essen. Exit the Autobahn (motorway) at the junction Essen-Rüttenscheid (28), keep to the right, change to the right lane and drive straight on. Continue straight ahead (caution! do not take the Autobahn again) until you reach the Alfredstraße (B224) intersection and turn left. After 5 intersections turn right at the 6th street onto Grugaplatz. At the end of the street, turn left into Rüttenscheider Straße. The 2nd street on the right is Girardetstraße. Take the A40 toward Essen. At the Essen-Ost junction keep to the right and take the A52 toward Düsseldorf. Exit the Autobahn (motorway) at the junction Essen-Rüttenscheid (28), turn right into Alfredstraße (B224) toward Gruga/Messe. After 5 intersections turn right at the 6th street onto Grugaplatz. At the end of the street, turn left into Rüttenscheider Straße. The 2nd street on the right is Girardetstraße. Take the A40 toward Essen. Exit the Autobahn (motorway) at the junction Essen-Zentrum (23). At the end of the junction drive straight on but continue in the right lane. At the large intersection turn right into B224 Friedrichstraße (follow the signs “Girardet Haus”). At the 1st traffic light, turn halfway right into Bismarckstraße (B224). After approx. 1.3 km, turn left into Martinstraße. At the next traffic light, turn right into Rüttenscheider Straße. Turn left into Girardetstraße after approx. 500 m.